You know the Chevy Tahoe and Suburban, right? About the size and weight of a WWII destroyer, they are pretty much as big and conspicuous as an American machine can get these days if it wasn’t made under a DoD contract. You know what the Chevy Tahoe and Suburban need? More stuff! Hence, the creation and availability of the Tahoe and Suburban Premier Plus Special Editions. These SUVs are already big mothers, tipping the scales at 5,600 lbs. and taping in at 17 feet long. And that’s the Tahoe, the “little” one of the pair. The Suburban tips the scales at 5,800 lbs. and is a whopping 18 feet long. But that wasn’t enough, oh no. You want more? Of course you do. You’re American! You get GM’s 6.2-liter V8 moving all that steel down the road. Said plant is part of the new RST 6.2-liter Performance Package. All Tahoe and Suburban Premier Plus Special Editions, as well as RST Premier models with the optional 6.2-liter Performance Package, come with Magnetic Ride Control. 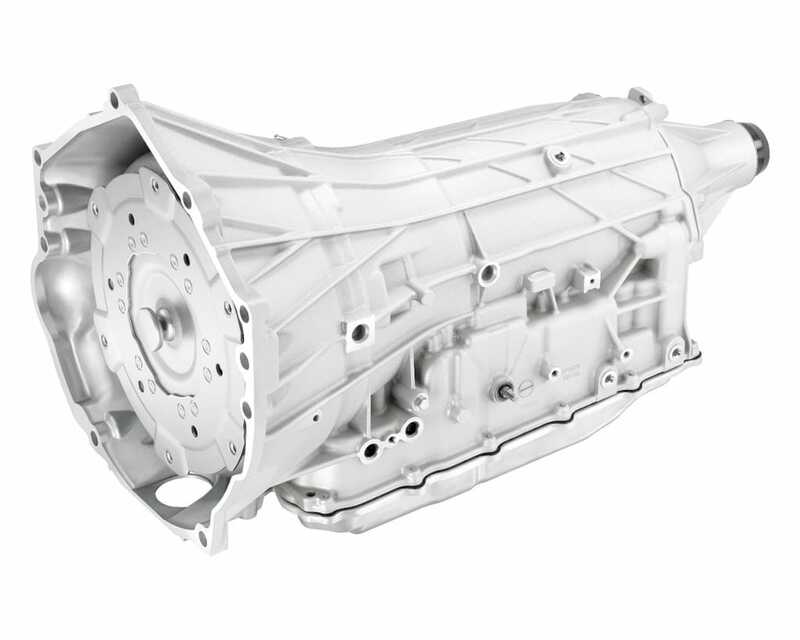 The Hydra-Matic 10-speed automatic transmission continues the trend of automatic boxes with a large number of ratios. Chevy Tahoe and Suburban RST. Photo: Chevrolet. Now, about that drivetrain. The available 6.2 puts out 420 horsepower and 460 lb-ft. of delicious torque. It features three state-of-the-art technologies: direct injection, Active Fuel Management, and continuously variable valve timing. Not bad for a truck motor. Chevy says this makes the most of power, torque, and efficiency across a broad range of operating conditions. So be it. That 10-speed auto box gives you smaller steps between each “gear” ratio so power under acceleration is maximized. The final drive is a 7.39 overall gear ratio spread with a lower numerical top gear ratio. Therefore, this new transmission reduces engine revolutions at highway speeds for better fuel economy on those long runs. The Magnetic Ride Control is an active suspension system that “reads” the road every millisecond. It decides what damping changes to call for in the electronically-controlled shock absorbers in about 10 to 15 milliseconds. Result: improved cornering and a more comfortable ride while cruising. Pretty fancy for a giant station-wagon/half-track. GM’s 10-speed automatic provides smaller steps between each gear ratio. As a result, power and fuel economy improve. Photo: Chevrolet. The 2019 Chevy Tahoe and Suburban Premier Plus editions feature Black/Mahogany-colored leather front seats, heated and ventilated, of course, with a Jet Black trim surround. The premium two-tone interior and the mammoth 22-inch polished wheels make their first appearance in Chevy’s full-size SUV lineup. Other flashy features include the gold “bowtie” logos, chrome nameplate badging, a nifty heads-up display, and an eight-inch diagonal cluster. The cross rails, chrome power steps, exhaust tip, and a Chevrolet-branded cargo organizer are thrown in for good measure. Also for good measure is the standard 4G LTE WiFi hotspot including a 12-month data plan. Ergo, connectivity is not a problem. Cost. 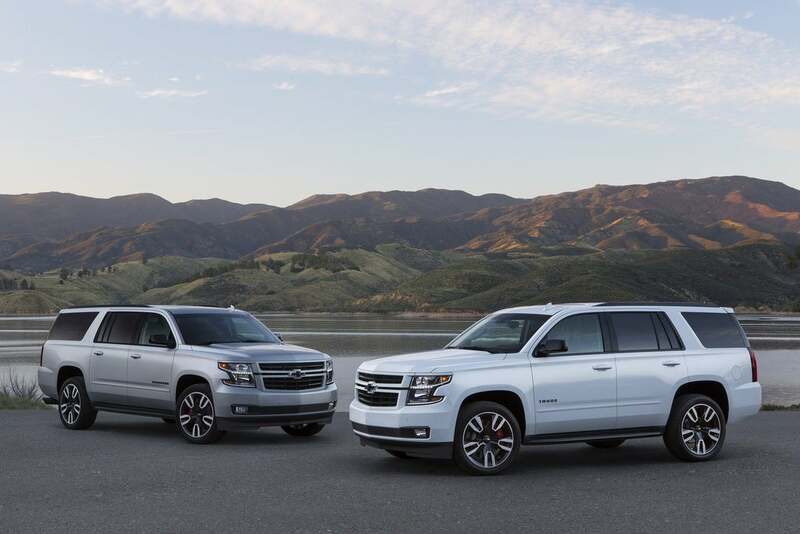 Well, the 2019 Chevy Tahoe Premier Plus starts at $74,100, while the Suburban Premier Plus starts at $76,900. Yes, that’s about 20-thousand more than a new Corvette, but, I hear you; spouse, kids, vacation, soccer practice. Sacrifices must be made. If you’re interested, they can be ordered from Chevy dealers now, with production beginning mid-August. No word on when you can expect delivery. But hey, if you want to shave a little off the bill, check this out. Both of the Premier Plus models are available to Costco members at GM supplier pricing. The fine print, though, is how this exclusive Costco deal is only available on 5,000 vehicles, and you must be a Costco member by October 1st and take delivery between October 2nd and January 2nd 2019. 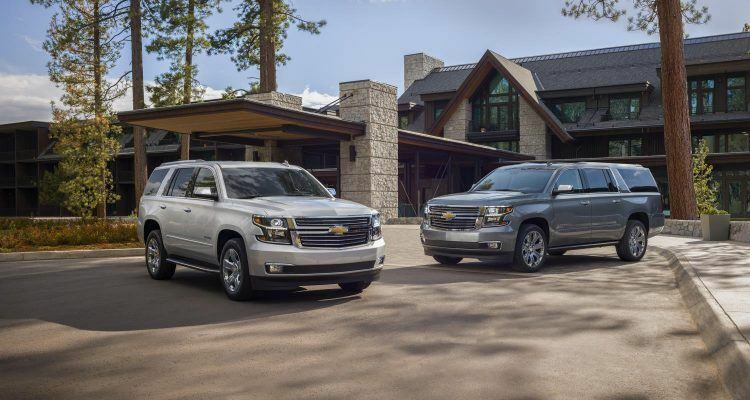 No Comments on "2019 Chevy Tahoe & Suburban Premier Plus Special Editions: Large & In Charge"